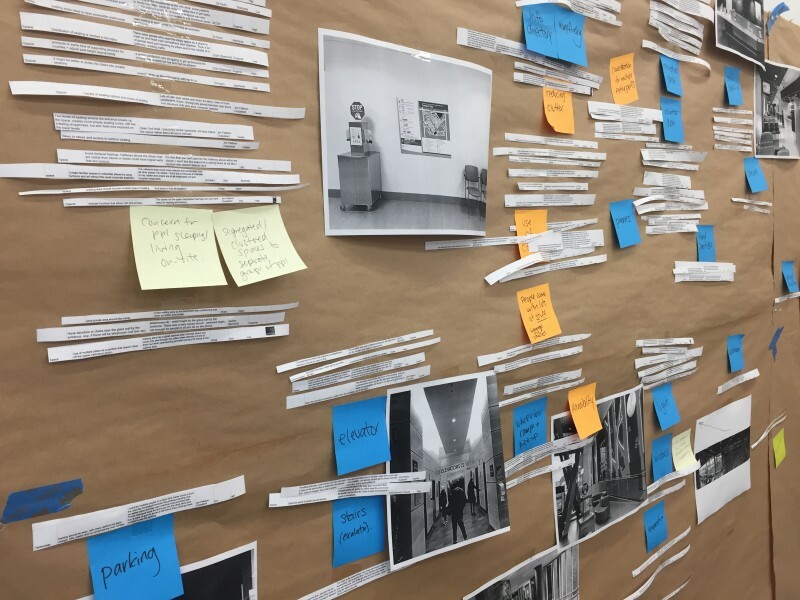 Emily Carr’s Health Design Lab (HDL) is currently working with the St. Paul’s Hospital Redevelopment Team to reimagine the future of healthcare and the way healthcare services are delivered to optimize the patient, visitor and staff experience. In February, the HDL team will be facilitating these activities in a series of co-design workshops to gain ideas and insights from past patients and the general public. The first workshop will take place in a 3rd year Design course at Emily Carr, followed by two community workshops February 24 + 26. Through this participatory co-design process and engagement with the community, this project will result in a series of ideas and suggestions for the St. Paul’s Redevelopment Team and the future architectural team that will help to inform the design of the new hospital entrance experience. This will include consideration of reception and check-in kiosks, communication through signage and media walls, seating and play areas, hand hygiene promotion and visual/graphic elements as forms of positive engagement and wayfinding. Learn more about our project here and RSVP.